A new Internet Based HD TV service has been launched by Billionaire Alki David. 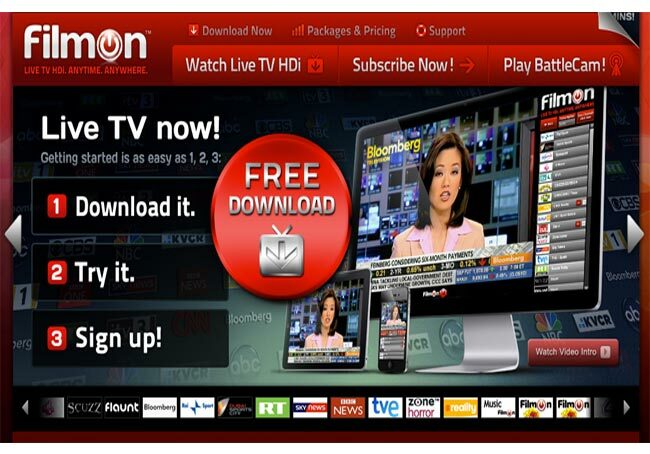 The new FilmOn HD TV service starting from $9.95. The new FilmOn HD service offers content from networks: CBS, ABC, NBC, KCAL, FOX, KTLA, Russia Today, BBC News, RAI Sports, Dubai Sports, TVE Spain, SCUZZ , FLAUNT to name a few. If you are interested in viewing the content you will need a broadband connection of at least 1 mbps for the high definition content. The streams also accommodate devices with 5.1 sound. The service has already been in beta testing fro over a year and already has a few million users. If you have used the service a go or been apart of the beta program, let us know your thoughts. Have a look at our handy a OLED TV Explained guide for more information on the latest HDTV’s.